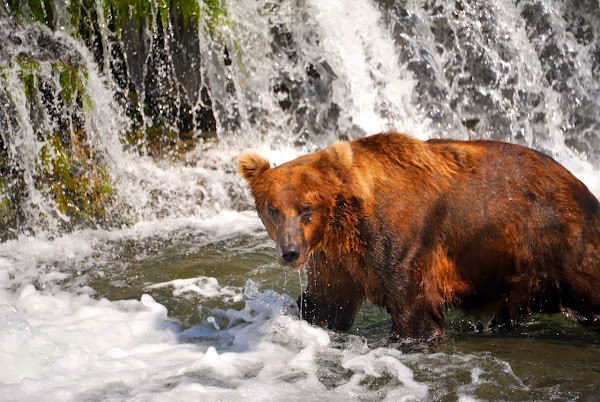 Seeing Grizzly Bears fish for salmon at Brooks Falls in Katmai National Park in Alaska was an absolute highlight of our anyway splendid Alaskan adventure. I became particularly fond of the pictured below Mama Bear who was relentlessly trying to catch salmon for her three young babies, while making sure they wouldn't become food for other larger bears. That's one tough motherhood!